YellowKorner produces non-digital prints on traditional paper, a technique used by the most prestigious exhibitions. These are prints of very high quality, whose finish, sharpness, and contrast are optimal both in colour and in black and white. Under the supervision of the artist, the prints are numbered and provided with a certificate of authenticity. By arrangement with the photographer, the same photograph might be available in one or more formats (32 x 48 cm, 40 x 50 cm, 60 x 90 cm, 100 x 150 cm, 120 x 180 cm and 150 x 225 cm). Each format has a specific limitation and each print is in numbered limited edition, with a run of 50, 100, 200, 500, 999 or 5000 copies. We take the greatest care with the quality of our finishes. All of these tasks are performed by the expert hand of Zeinberg, YellowKorner’s laboratory. 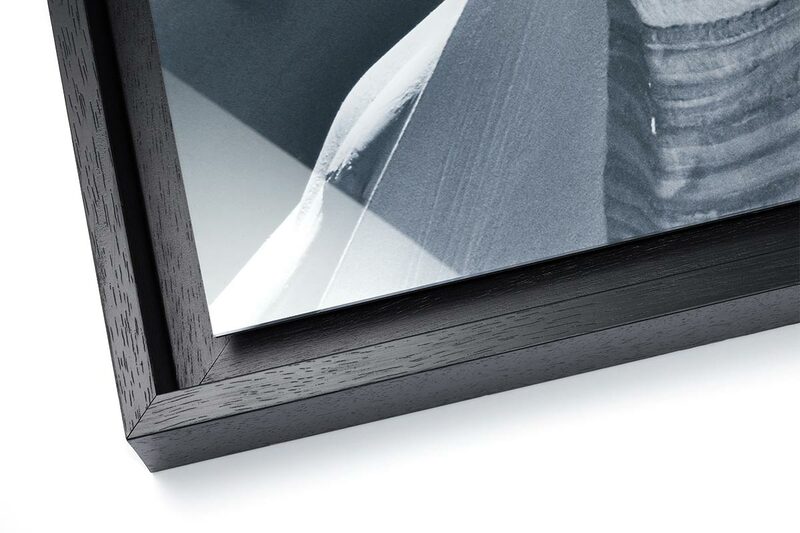 Timeless and suitable for antique and contemporary artworks alike, framing under acrylic glass allows the print to be magnified while isolating it from its environment using a passe-partout. The print is inserted into a 40 x 50 cm frame that protects the photograph using 2mm-thick framing acrylic glass. This classic frame was specifically designed for YellowKorner and is available in several colours: black aluminium, light wood, matte mahogany, and white wood. 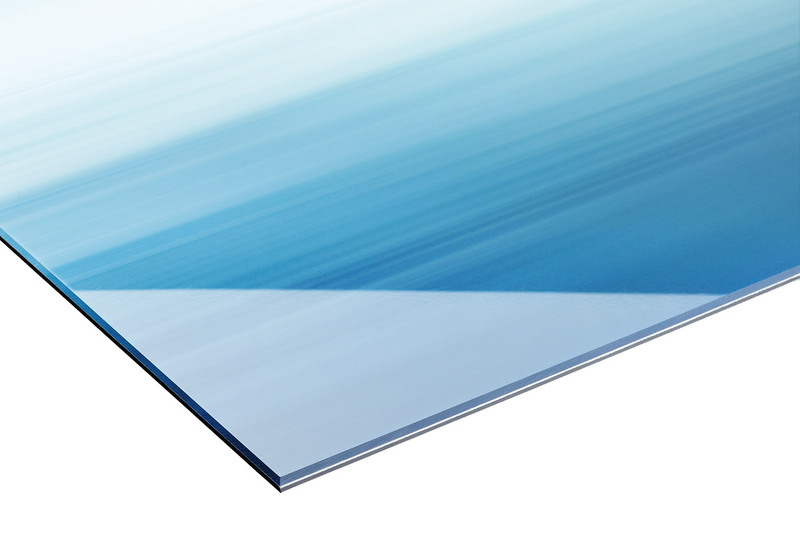 The pH-neutral passe-partout protects the photograph from contact with the acrylic glass and thus avoids the development of any condensation phenomena. 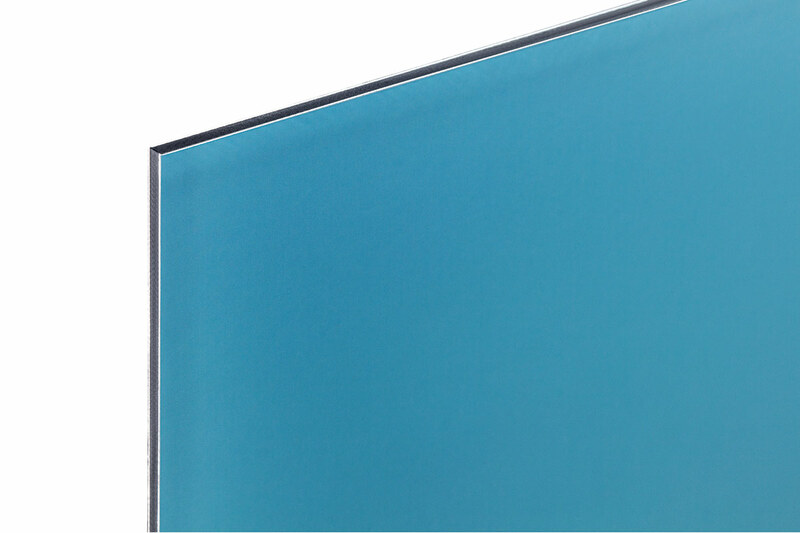 Suitable for large-format artworks, this contemporary and elegant finish enables a direct view of the artwork. The print is covered by a layer of anti-reflection film that protects it from humidity and UV rays. It is mounted onto Dibond©, which is a composite aluminium plate. This thin, light material is made up of two layers of aluminium around a polyethylene core, with a total width of 2mm (3mm in EXCEPTION format). It is the most suitable format for conserving a very large photograph perfectly flat over time. 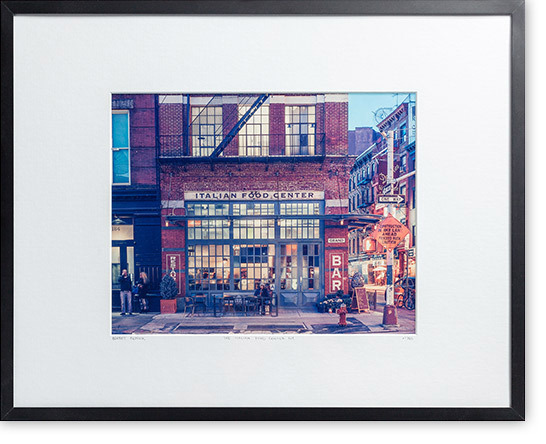 A rectangular frame 20mm wide located at the back of the plate rigidifies the structure and allows the photograph to be hung at a slight distance from the wall. Acrylic glass is used to heighten the colours of the photograph. This finish complements the aluminium mounting and framing with a shadow gap frame and consists of a 2mm plate of Acrylic glass (3mm in EXCEPTION format) directly laid over the photograph. It adheres through a reaction between two liquid components, without the need for glue. The print is thus perfectly protected and gains in depth. The sheen and intensity of the colours are also reinforced. The frame of choice for exhibitions, this finish offers a direct view of the artwork and creates an impression of depth. The photograph is first mounted onto an aluminium plate. It is then fitted into a 480mm custom-built frame in solid wood. Perfectly flat and slightly set back within the frame, the photograph is thus better protected. The space between the photograph and the frame also contributes to an effect of lightness and depth. The shadow gap frame is available in several colours: black satin-finish, oak, walnut, and white satin-finish. 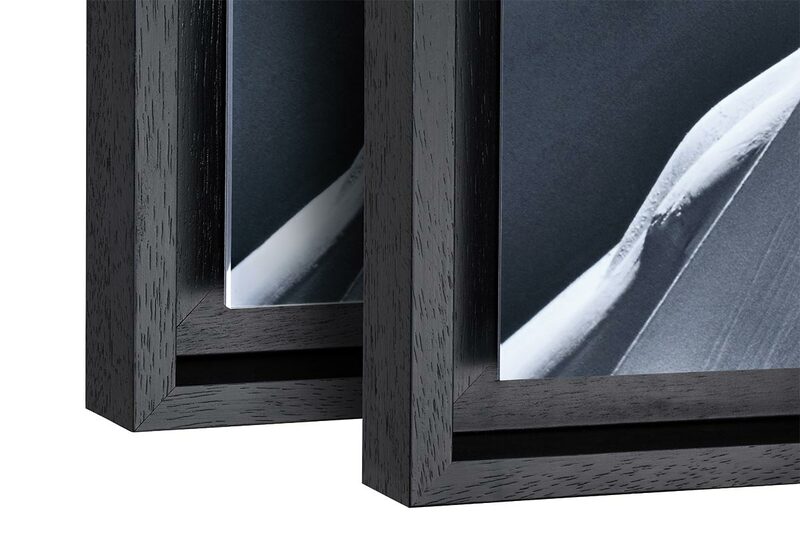 A luxurious finish combining the advantages of framing and acrylic glass. A photograph with shadow gap framing can also take advantage of the addition of an acrylic glass plate. This premium finish constitutes the highest level of enhancement that YellowKorner can provide for its photographs. The artwork obtains a finish providing exceptional colour and sheen, while appearing to float within its frame. Have your own photographs printed by our Zeinberg laboratory and take advantage of YellowKorner’s exceptional printing quality and finishes.